Nancy D. Butler can speak on for business events. Nancy D. Butler can speak on for life events. Nancy Butler's three award-winning books address how to be successful in life and business. 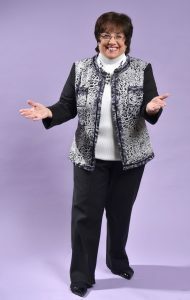 Nancy Butler, a resident of Waterford, CT., is the founder of “Above All Else, Success in Life and Business®”, an organization focused on helping individuals live a successful life and realize their dreams and helping businesses to do a better job for their clients while improving their bottom line.